Trainer Tony Martin has confirmed Anibale Fly on course for the Grade 2 Red Mills Chase at Gowran Park this Saturday. The Meath-based trainer been forced to miss some intended engagements with his stable star due to the ground being unseasonably dry but is looking forward to getting the Gold Cup third back on track this weekend. 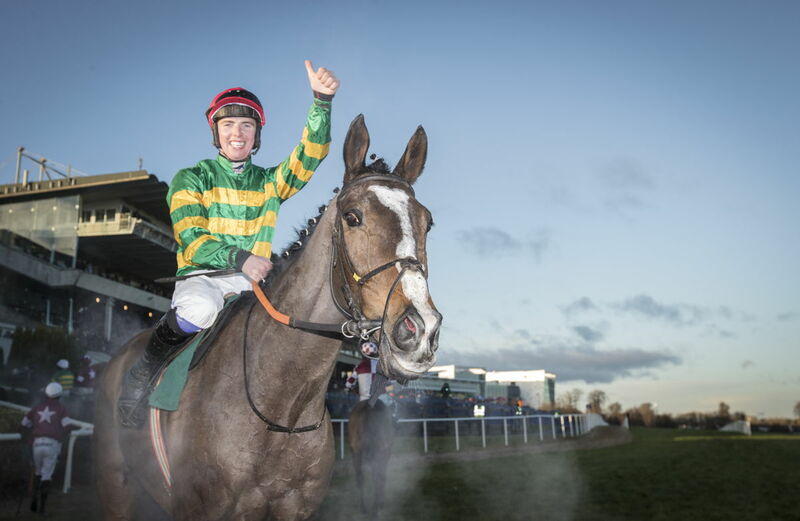 “All going well Anibale Fly will be in Gowran Park on Saturday,” Martin stated. “We’ve had to be patient with the ground but it looks like it should be plenty safe for him in Gowran. It’s all systems go at the moment. “He ran in the Hilly Way at Cork and it was a nice run but the extra half mile should make a big difference to him and be a help. It’s important to get a run into him before Cheltenham and we were running out of options. Eddie Scally, manager of Gowran Park Racecourse, is excited to welcome another bumper crowd and the track will also host the ITV cameras for the first time. “All the signs are that we are going to have the Gold Cup favourite Presenting Percy taking on Anibale Fly who was third in the Gold Cup last year and Monalee who was second in the RSA Chase. We might also have Killultagh Vic who looked like he was going to win the Irish Gold Cup last year so it’s a hell of a race,” Scally said. “It’s a high class field and a Grade 1 in all but name. We’re very proud to have the Thyestes Chase which we say is the race that stops a county but I think on Saturday the Red Mills Chase is going to be the race that stops the National Hunt world.